Angie's Simple Cooking | Recipes with a few ingredients, but a lot of flavor. 1 Heat oven to 400°F. Line cookie sheet with foil; spray foil or paper with cooking spray. 2 Melt the butter in a medium bowl. Mix in honey mustard and garlic salt. 3 Place bread crumbs in large resealable plastic food-storage bag. Add chicken pieces to mustard mixture; stir to coat. 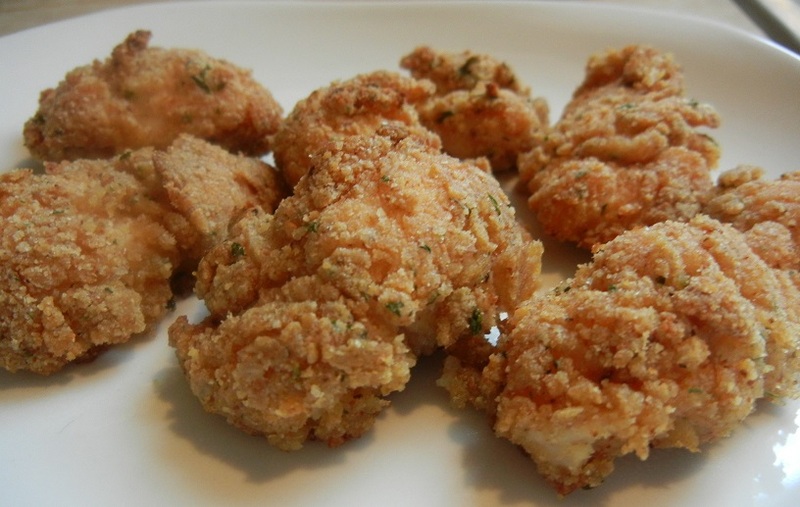 Shake chicken pieces in bag of bread crumbs until coated. Place on cookie sheet. Discard any remaining honey mustard and bread crumbs. 4 Bake 20 to 25 minutes or until no longer pink in center. Serve with additional honey mustard or dipping sauce of your choice. 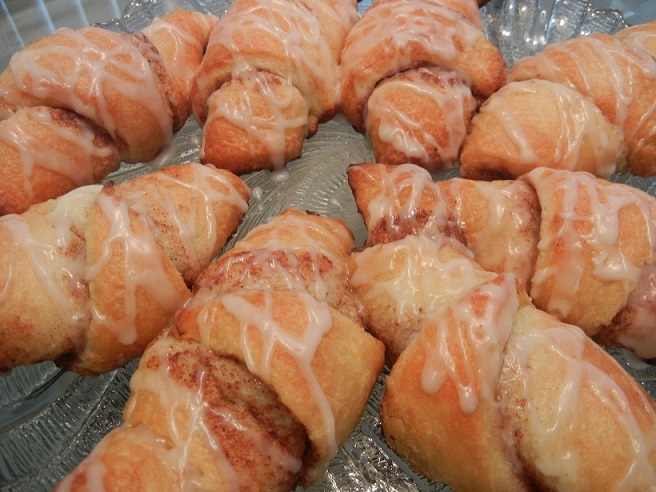 I’ve found a new EASY semi-homemade recipe using two of my favorite ingredients- crescent rolls and cinnamon. Scott and the kids LOVED them. They’re ready in minutes and will be gone in minutes! Place the unrolled and separate crescent rolls on an un greased cookie sheet(one with sides). Evenly spread the cinnamon butter over the crescent rolls and roll up. Special request for my sister in law, Autumn! 1 Heat oven to 375°F. Remove wrappers from chocolates. 2 Beat shortening and peanut butter in large bowl until well blended. Add 1/3 cup granulated sugar and brown sugar; beat until fluffy. Add egg, milk and vanilla; beat well. Stir together flour, baking soda and salt; gradually beat into peanut butter mixture. 3 Shape dough into 1-inch balls. Roll in granulated sugar; place on ungreased cookie sheet. 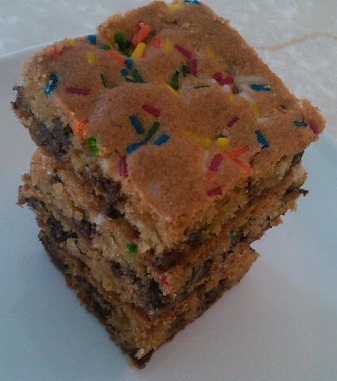 cookie; cookie will crack around edges. Remove from cookie sheet to wire rack. Cool completely. Spray a 13 x 9 baking pan with Pam or any other spray oil. Open one can of crescent rolls and stretch on bottom of pan. Seal holes together to form a crust. 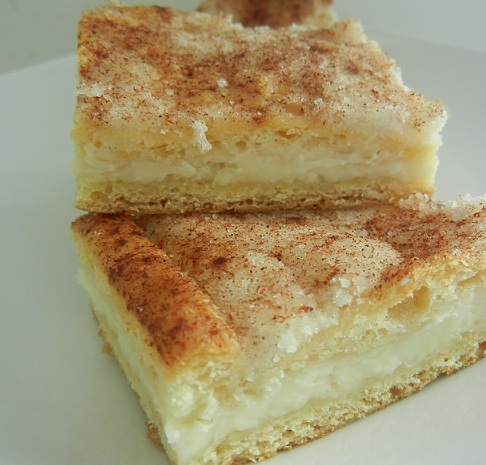 Blend together cream cheese, 1 cup sugar and 1 tsp vanilla with mixer until fluffy. Spread over dough, do not go all way to the edges. Stretch second can of dough over cream cheese filling, seal together with other crust. Melt butter in a saucepan mixed with remaining sugar. Brush or pour all of the butter mix over top crust, then sprinkle generously with cinnamon. Bake at 350 for about 25-30 minutes or until golden brown. Let cool, then refrigerate before cutting into squares. 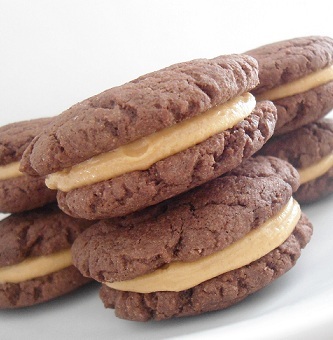 These were inspired by the milk chocolate cookies with peanut butter filling that I made over the summer. I wanted to make a softer and faster version of them for Christmas Eve. So I made the cookies with devil’s food cake mix and the same peanut butter filling from the original recipe. I used a ziploc bag to pipe the filling on quickly. 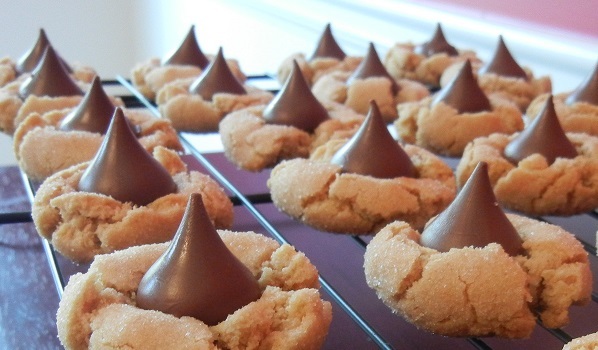 Very easy dessert recipe for anyone who is a fan of chocolate and peanut butter! Preheat oven to 350. Combine cake mix, oil, and eggs; stir with spoon until thoroughly moistened. Shape dough into 1 inch balls, then gently flatten them in your palms. Place 2 inches apart on ungreased cookie sheets. Bake at 350 degrees for 6-7 minutes. To make the filling, beat together the butter and the peanut butter. Sift in the confectioners’ sugar; beat until fluffy. Spread the filling on the flat side of half of the cookies and sandwich with the remaining cookies. After making a LOT of sugar cookies in the past year, I’ve been wanting to try a flavor other than regular sugar and lemon. I’ve been looking for a new flavor but a cookie that still holds up to being rolled out, cut and decorated with royal icing. I was so happy when I came across this recipe posted on Annie’s Eats. Chocolate sugar cookies! In a small bowl, combine the flour, cocoa powder and salt; whisk to blend and set aside. In the bowl of an electric mixer, combine the butter and sugar. Beat on medium-high speed until light and fluffy, 2-3 minutes. Blend in the egg and vanilla. With the mixer on low speed, add the dry ingredients and mix just until incorporated and no streaks remain. Form the dough into a disc, wrap tightly with plastic wrap and refrigerate until firm, 1-2 hours. Preheat the oven to 325˚ F. Line a baking sheet with parchment paper or a silicone baking mat. On a lightly floured work surface, roll the dough out to about ¼-inch thickness. 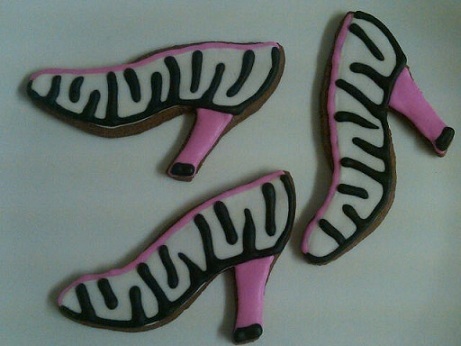 Cut out desired shapes with cookie cutters and place cut outs on the prepared baking sheet. Bake 10-12 minutes, just until set. Let cool on the baking sheet about 5 minutes, then transfer to a wire rack to cool completely. Decorate as desired.